Photograph scrapbook, in original order as received. Frederick R. Weimert was born on September 28, 1887 in Buffalo, NY. He graduated from the University of Pennsylvania in 1912 with a B. S. in Chemical Engineering. 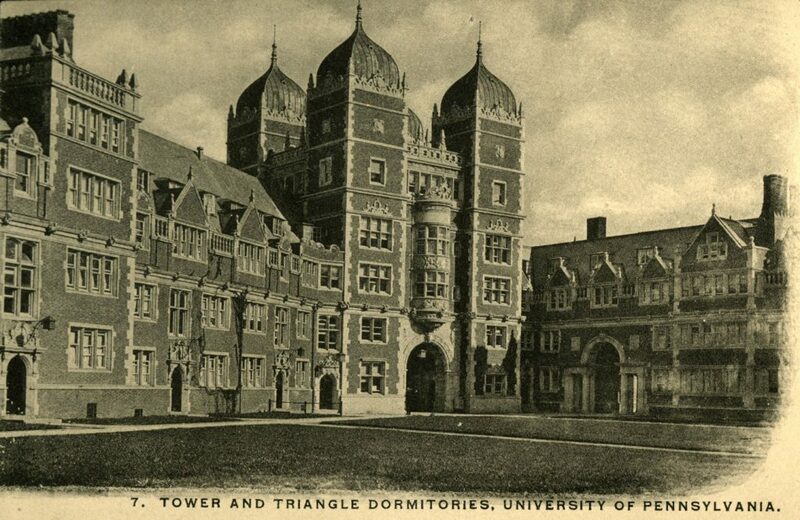 While at Penn, Weimert ran track, and was a member of the 1910 Intercollegiate Championship Track team. Following graduation, he worked for a number of companies, including Du Pont, where he was employed from 1927 until his retirement in 1952. Mr. Weimert passed away on December 26, 1980 at the age of 93. Scrapbook contains 46 images, mostly postcards the University of Pennsylvania around the early Twentieth Century. Also included are 4 photographs from the 1910 Track Champoinship, two photographs of Frederick Weimert at Penn, and one image of an unknown man.